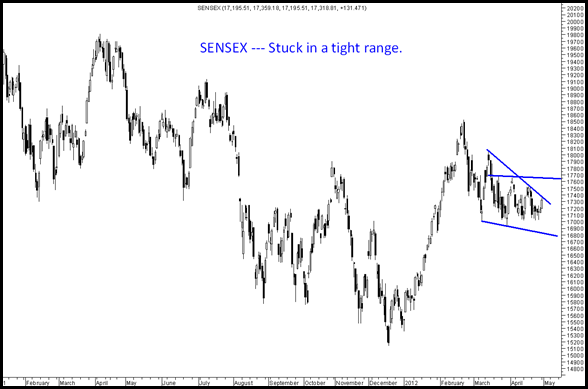 Technically Sensex seems to be in a tight range for a good amount of time. The way it is digesting bad news the direction for breakout should be up. The reaction to a positive news is way higher in current markets. Above all i again see a sense of frustration among participants so a direction is about to come. Markets will react sharply to any positive news. S&P downgrade created a bottom for US is it going to be same for us ? Well too early or optimistic to call it but i maintain my positive bias and the approach to accumulate quality stocks in the current period and wait patiently. Technically above 17600 and 5400 Nifty we will see a sharp run up. As of now we have too many concerns on GAAR, FII, USD-INR etc etc and have too many reasons for a downfall. But people dont have many reasons for an upmove that i believe creates a good window of opportunity for investors. 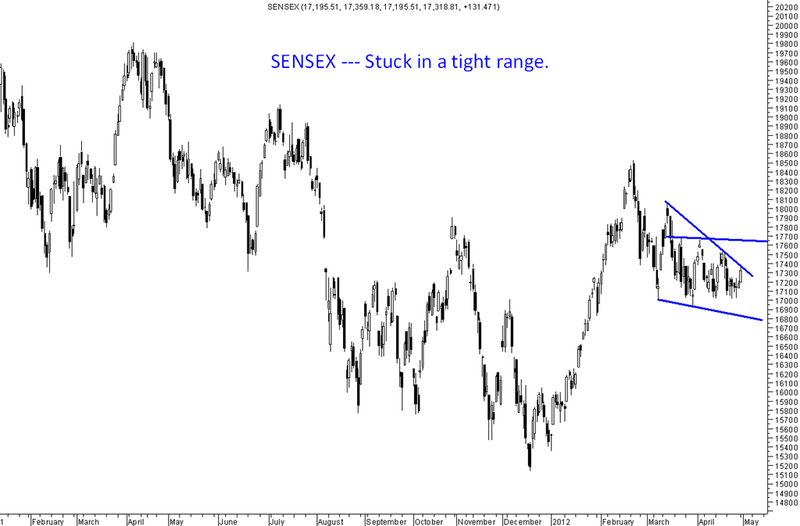 On the trading front it will continue to be difficult till we dont get out of this range. Pharma continues to be a space of interest but one should now start focusing on the beaten down sectors like infra,metals etc as that is where we may see the sharpest reaction. Balaji Tele seems an interesting stock for punting over the next couple of months for someone who can take a 10-15% risk. Upside could be to 60 levels or more. A techno funda take. Keeping a small exposure. Any Views on BHEL @ 225 ?? , trading near 2008 Lows and after a 30% Fall in 2 months , News came the other day of Rajasthan Elec Board cancelling 12k Crore Order !! i agree with u sir. and sir one interesting observation is that even shanghai stock market is make a nice accumulative pattern of inverted head & shoulders . so it may also have a positive repercussion on all Emerging Markets too. and even the dog on the street is bearish and long term is dead. “panch se das rupya milta hai na shanti say book karke nikal” is the mentality of ever person on the street. Never seen such a pessimistic period since many years. And in Infra & Metal Space …in which stocks ur Bullish for Sudden Reaction? 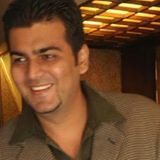 Quick question, Does all the noise related to digitisation help Hinjuda Ventures? or any investment recommendation in this space MSO? I have liked Hinduja Ventures very much and was part of core holding a year back but got out at nominal profits as the stock does not perform. Fundamentally yes a good bet. Price appreciation when will it come cant say. sir,can i buy tatasteel at440 level. I would wait on Tata Stee for now as it has hit below 440. Will look closer to 400 how it reacts. Then you may look into some other stocks. This is not much of a momentum stock. I would prefer LNT around 1000-1100 more. Lets see where we are by end of May. As a thumb rule it can also be buy in May wait for coming diwali or January on similar lines. Whats the call on Sintex now.. Corrected from 82 to 62!! Is Balaji a hold or sell? Its a sell on rise.